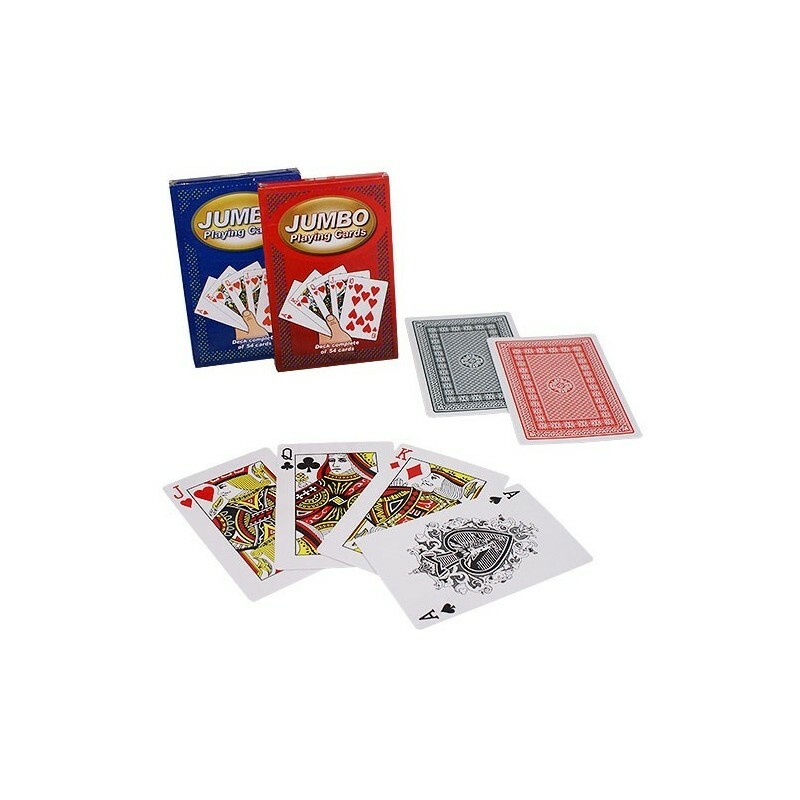 Finally on sale a jumbo playing cards deck, perfect for performing card magic effects also on stage. 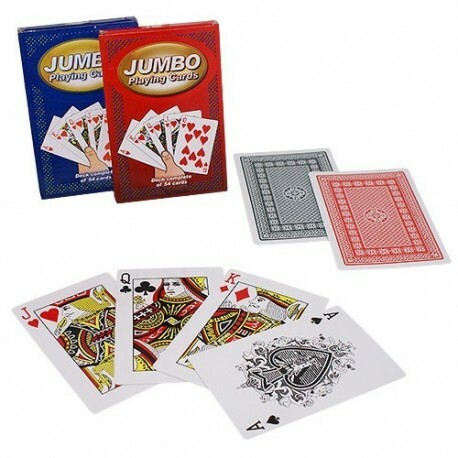 • Cards are cm 9,5 x 14,5 (about in. 4 x 6). Comes supplied in assorted colors, red and blue back.